Lost to gun violence on December 21, 2016 in Okmulgee, Oklahoma. 80 candles have been lit for Kenneth. 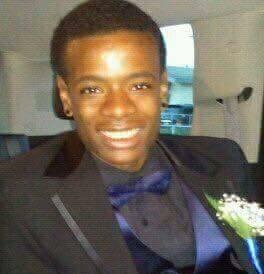 1 love you nephew, it will be greater later, miss you and love you always. 1 nephew i miss you so much, think of you everyday.we all love you hope you are at peace. 1 Nephew im thinking of you, love, love, love..... so much but god love's you first auntie nuney. 1 i love you so much forever in my heart. 1 It's hard when you lose someone in a senseless crime for no reason at all. 1 LOVE YOU HAPPY BIRTHDAY NEPHEW, THINKING OF YOU ALWAYS. 1 thinking of you nephew, love you gone to early, aunt nuney. 1 It's been a year, so hard your gone RIP LOVE YOU. 1 LOVE YOU BIG HEAD, AS HE SAID, IT WILL BE GREATER LATER. 1 HOPE HE GET WHAT HE DESERVES WHILE HE'S LOCKED UP. 1 NEPHEW TOMORROW IS YOUR BIRTHDAY I LOVE YOU ALWAYS HAPPY BIRTHDAY AUNTIE NUNEY. 1 love you always auntie nuney. 1 The family miss you so much.